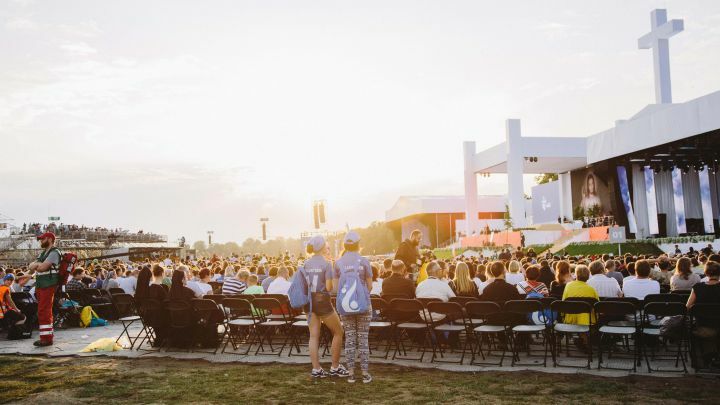 In July over 2 million young people, including 50 cardinals, 800 bishops and 20,000 priests from around the world, attended the 31st World Youth Day in Krakow, Poland. En route to Krakow, 5000 young people from 79 countries gathered in Lodz for Chemin Neuf’s ‘Paradise in the City’ Festival. Among this year’s speakers were Pete Greig, founder of 24-7 Prayer, Archbishop Justin Welby and Cardinal Tagle. It was so encouraging to meet thousands of young people interested in Alpha and showing the world that the Catholic Church is alive, vibrant, and on a mission! Cardinal Stanislas Dziwisz, Archbishop of Krakow, opened the World Youth Days by asking young Catholics to share their faith worldwide. One of our highlights was Emmanuel’s Story being shown to 2 million pilgrims after the Way of the Cross on Friday in Krakow's Błonia Park.